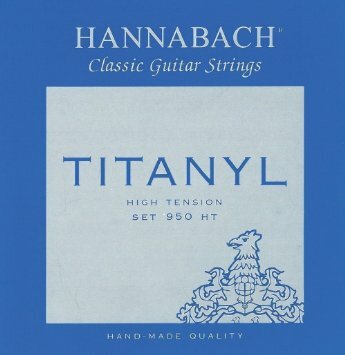 TITANYL-treble strings are made of a new polyamide mixture – thus the light grey color – and of course precisely round. They have a clear, distinct sound, openly brilliant delivering a quick response. The strings have a high strength, flexible core and are wound with a newly developed ”long live” silver alloyed wire. The bass strings deliver a sonorous tone with beautiful, clear overtones.